I was reading about the stolen Van Gogh painting yesterday on BBC News website and some other sites and noticed inaccuracies in some articles. The BBC reported yesterday on the Royal Society's forthcoming report of IT education in UK schools which comes to the conclusion that IT lessons are dull. This dullness is putting children off of computing careers. Experimental cooking, work plan and things I didn't know. I wasn't sure what to have for dinner earlier. I had some chicken to cook, some left-over Sharwood's tikka masala sauce and some mushrooms. I decided to experiment and try making those ingredients into a burger. 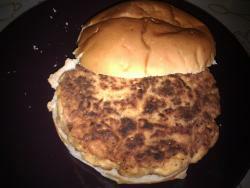 A chicken & mushroom tikka masala burger. It was yummy. The other day, while working on my survey of register allocation based software watermarking techniques, I learnt something new about numbers: the factorial number system. Today I baked some brownies; I cheated slightly by using a pre-made brownie mix. 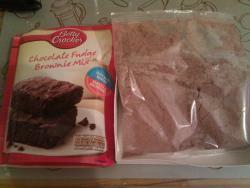 Betty Crocker's Chocolate Fudge Brownie Mix only needs to be mixed with 45ml of water and baked for 25 minutes in the included cardboard tray. Simple. I divided it into 6 small brownies and they're yummy. It cost £1.12 in Sainsbury's. 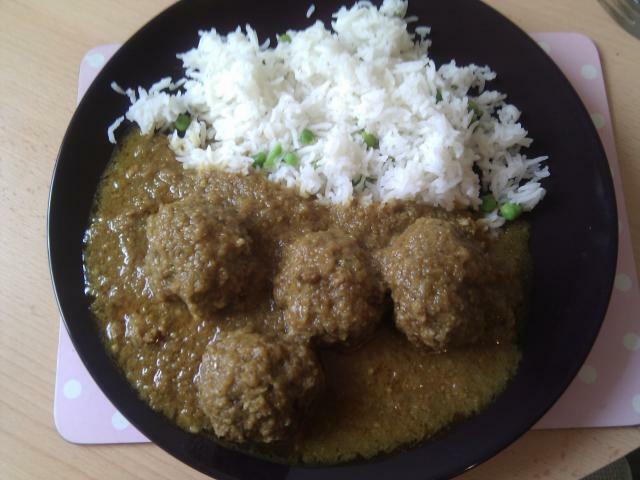 Today I made meatball curry. I thought it was yummy. I used a recipe from About.com. This is my first blog post on my new blog, which is part of my new website. I'm migrating my old site (whoyouknow.co.uk) to this site as the domain makes more sense for personal stuff about me.